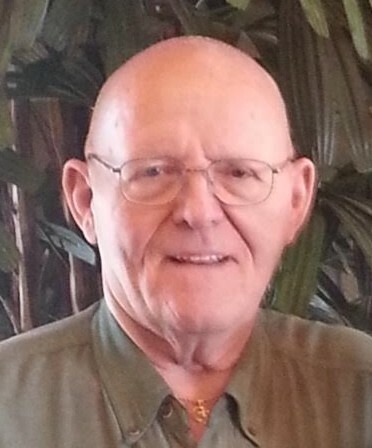 Gerald N. "Jerry" Himes, 78, formerly of Erie, PA and Peoria, AZ, died on Monday, September 17, 2018, at his home in Fleming Island, Florida. He was born on August 15, 1940, in Erie, son of the late Jay E. and Dorothy M. Whitford Himes. He was a plumber working for George Winston Company, retiring in 2006 after 25 years. He had also been a supervisor of the Mill Room at L. Hopkins Mfg. in Lake City, PA for 18 years. Jerry was a former member of St. John's Lutheran Church, Erie, where he served on Church Council, the Property Committee and was head usher. He was also a former member of the Siebenbuerger Club and Koinonia of Erie County K-133. After moving to Peoria, AZ in 2006, he went back into the work force at Fergusen Enterprises and Wal-Mart, retiring once again in 2010. He was a member of Community of Grace Lutheran Church, Peoria, where he volunteered helping a mission project "Feeding My Starving Children." He was also involved with the "Area on Aging Agency" at the Peoria Senior Center and was a past Site - Council member. Jerry was very proud to receive his high school diploma with a B average in 2013 at the age of 73. In 2015 Jerry and his wife Judie moved to Fleming Island, Florida, where their son Don provided a home. They Joined Advent Lutheran Church in Orange Park, Florida, where Jerry attended Bible Class, worshiped, and very much enjoyed the fellowship. Jerry also joined Elks Lodge #1892 in Green Cove Springs, FL, where he enjoyed playing Bingo. In addition to his parents, he was preceded in death by a daughter, Debera "Debbi" Garris-Steblein in 2013 and a sister, Mary Lou Thomas. Survivors include his wife of 38 years, Judith H. Ziegler Himes; two sons, Donald Holden, retired US Navy, of Jacksonville, FL and John Holden of El Mirage, AZ; a sister, Wilma Evans and husband Roland of East Springfield, PA; six grandchildren; and several nieces and nephews. A Celebration of Life/Memorial Service will be held Tuesday, September 25, 2018 at 1 p.m. at Advent Lutheran Church, Orange Park, Florida. Pastor Jerry Nordsiek will officiate. In lieu of flowers, donations may be made to Community Hospice of Northeast Florida, 4266 Sunbeam Road, Jacksonville, FL 32257.